The London Olympics gave us heroes too numerous to mention, and not just the medallists. 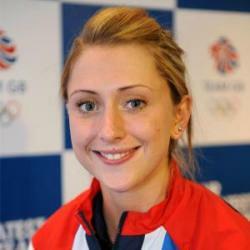 But some stood out as particularly special – Laura Trott certainly one. For a start she looks at first glance less like an athlete – slender, quite short – than so many competitors; so very young too, and decidedly girl-next-door pretty; and there is the fact that she began her sporting career to overcome that contemporary plague, asthma, and that she was born with a collapsed lung. But the endurance and grim determination needed to win the multi-race Omnium event so soon after taking team pursuit gold prove beyond all doubt that she has athletic grit and to spare. One generation of British cyclists is bowing out: the bad news for the French is that Trott is leading another to propel yet more magic wheels.